In speaking with Graz about my experiences with the original and refurbished Duettas, he suggested I install new MRTW ribbons, not only because the KLM5’s are hugely improved over the older KLM2’s, but also to rule out any damage that may have occurred to the older ribbons due to stress from playing too loudly. 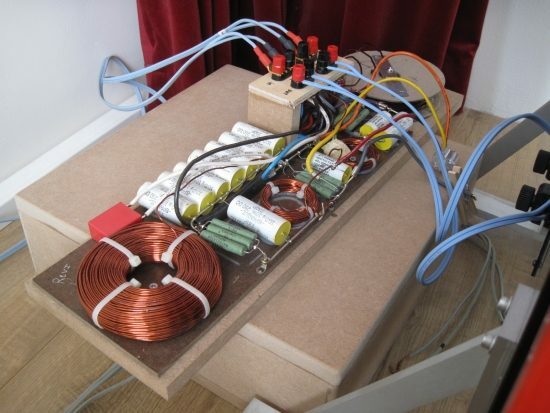 Graz said that in addition to the ribbons having new interfaces (the way that they connect to the frame) he had also devised a new wired return, which replaces the extra length of aluminium on the inside of the speaker with a special formula wire. The final nudge for me to go for it was when one channel started sounding less energetic, and darker than the other, and no amount of crossover-, cable- or component swapping could fix this. Ready for a ride to the Dr v.d. Hoeven surgery clinic: Duettas (this review) and Diva crossovers (another story). Although these are technically still Jan Willem’s speakers because he purchased them, they have been in my possession for almost 4 years already but so far there has been no intent to bring them over to his appartment, because he is so happy with how the original Duetta Sigs work in his system, and the refurbished set’s relatively harsher and more forward sound have not convinced him. So, JW was more than happy to let his refurbed babies go to the H.v.d Hoeven clinic for a beauty treatment. All this time the speakers had had no mesh to protect the drivers and it really is a miracle that I have not once accidentally damaged the foils during one of the very many listening sessions and cable comparisons. 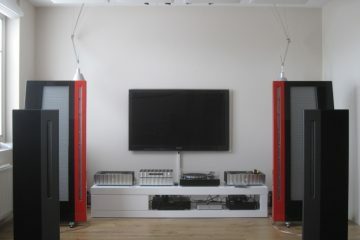 So it seemed prudent to have Henk install the mesh while the speakers were in surgery anyway. To top things off, Henk would measure the bass panels’ resonances and adjust tension if required. As it turned out, the bass panels were still close to optimal, and required only subtle optimising. Graz already warned me that the speakers would need at least 80 hours of normal music replay to run in properly, and indeed upon first connection they sounded very tight and a bit too forward. But interestingly, all the grain and harshness that I heard previously was now gone. Also, it was immediately clear that resolution and finesse had increased immensely. But maybe there was still a forward nature in the upper midrange. I wondered, would this be attributable only to them not yet being run in or could it be caused by the crossovers? Original Duetta Reference crossover, made to work externally. The square red capacitor top left is what differentiates the Duetta Reference crossover from the Duetta Signature crossover. Since some time (see part 3 of this review), I use original Apogee crossovers with the refurbished Duetta Signatures, but these are Duetta Reference crossovers. 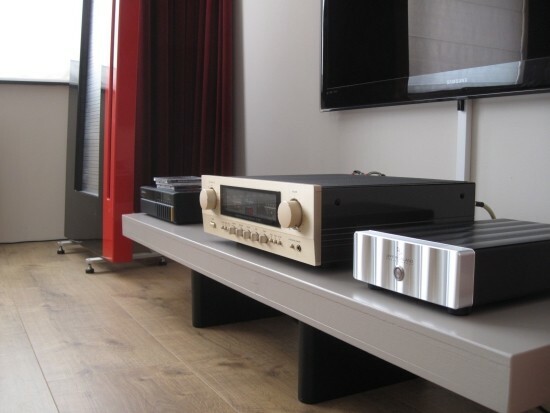 The difference with Duetta Signature crossovers is only in the addition of a single capacitor with which the speakers were specially tuned for the German market. I’ve long theroretisised about its influence and after speaking with Henk I was quite sure that it would lift treble output. Now that the speakers had returned from their beauty treatments with their new tightly stretched mesh and brand new KLM5 drivers, it was time to snap out this capacitor and return the crossovers to full normal spec again. Sure enough, snipping out the extra capacitor restored the treble output to normal. Briefly re-attaching it again just to be sure revealed that indeed it lifted treble output and not by a small margin. With the Duetta Reference crossovers now being identical to Duetta Signature crossovers, the improvemens that the KLM5 drivers brought were even clearer. Not only had resolution increased, resulting in more treble air and a more fluid overall presentation, the speakers had lost none of their drive and power, or their dynamic impact. And now that the MRTWs were playing at their intended levels, the transparency and cohesion were also further improved. The speaker now spoke as a whole, more like a single driver if you will. 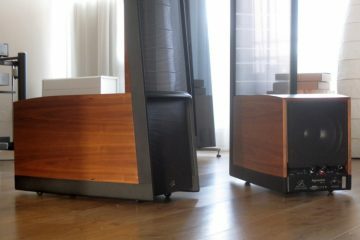 In a way, prior to the install of the KLM5 ribbons, the refurbished Duetta Signatures have always reminded me of AvantGarde horn speakers such as the Uno G2 not only in terms of purity and sheer dynamic impact but also for their hugely impressive bass. They may not go as loud as AvantGardes but they still go up to party level easily and have more than enough reserve to handle all audiophile needs. Like the AvantGardes, they can be totally magical, but there is often an overall shouty quality in the midrange and all of a sudden the speakers can lash out for example with brash trumpets or loud female vocals. Conversely the two original pairs of Duetta Signatures that I owned never sounded anything less than sweet, gentle and airy. This is not surprising, as their ribbons had been in place (and in use) for 20 or so years, and therefore entirely relaxed, but they were quite certainly not tensioned properly anymore. They are restrained in ultimate impact, but dynamicalaly still well-differentiated. Bass, while still incredibly deep, is less punchy and lower midrange less powerful than an up to date pair, but musically, the classics always perform well and and subjectively I’d say that they are still more dynamic and involving than Magnepan MG3.6R’s. The Refurbished models with KLM5 MRTW’s, new interfaces, new wired returns and original crossovers combine the best of both worlds. They have all the drive, power and dynamic impact that the initial refurbished set had with their newly built but off-spec crossovers, yet none of their raggedness or uncontrolled MRTW driver behaviour. Add to this startling coherence and resolution better than that from the ageing originals, and top it off with fluidity and refinement close to the original classics and I think it is clear that we have a winner. Naturally in matters audio all is relative, and there will still be advocates of the more mellow and relaxed sound of the original classics, but on balance I personally prefer the more energetic and propulsive sound of the refurbished models and I especially prefer their incredible resolution and transparency now that the KLM-5 drivers have been installed. Taste aside, technically the refurbished models are definitely better. They are incredibly dynamic but also very revealing, so they will need to be married to carefully selected electronics. Compared to my refurbished Divas (that use older Graz drivers installed almost 10 years ago), the Duettas are much more dynamic and have A LOT more propulsion and drive. With the right amount of toe-in, the Divas can image well, but not entirely as good as the Duettas. The Divas however counter with even more top to bottom evenness, and less obviously thunderous, but deeper bass. Although I have tried many amps by now, I’m still not ruling out the possibility that my Divas are somewhat underpowered by the Rowland sixes, but as it stands now, they are sometimes too polite. Although they are dynamically well differentiated, the Divas are just not always hitting the mark in terms of slam or punch. The refurbed Duetta Signatures however have no such issues. Divas may not be the greatest rock stars, but Duetta Sigs can really rock out. Tube amps normally do not apply, unless they are really potent. SETs such as the otherwise fantastic VAIC Reference 520 above, specifically don’t work well, resulting in a very slow andf creamy, thick, covered-up sound. I also tried various other tube amps, but so far they all produced an overly smooth sound with flattened dynamics. Do note that when matched correctly, SETs are definitely capable of very punchy sound. For example when combined with the Centaurs, in spite of their 50w rating the VAICs have staggering bass heft and extremely impressive dynamics, and this combination really sounds nothing short of magical. Still, Duettas are not incredibly hard to drive: any amp that outputs healthy current and remains stable at least into 3 ohm loads is theoretically up to the task. I found that the sophisticated yet detailed sound of my classic Jeff Rowland model 6 matches incredibly well and I assume that a model 2 would also work well. If you want to add some more romantism then the slightly more recent Model 10 is a very good choice with its fuller, more relaxed sound. Of the more recent amps tried, the more neutral ICE power 201s were also a very good match, as is the 625v2. Also see this model 201, 525, 6 and 10 review for more detailed information. The Devialet 120 worked wonders by sounding both superbly refined as well as powerfully upbeat and the Accuphase E-260 was also excellent, and from what I heard during an Accuphase comparison with other speakers, the creamier sounding E-600 could well be a match made in heaven. The Duetta Signatures are the first full range Apogees I heard and I have to confim that reviewers at the time weren’t wrong: Full Range Apogees really are something special. Most incredible is their bass performance: at once deep, full, dynamic, coherent and fast. 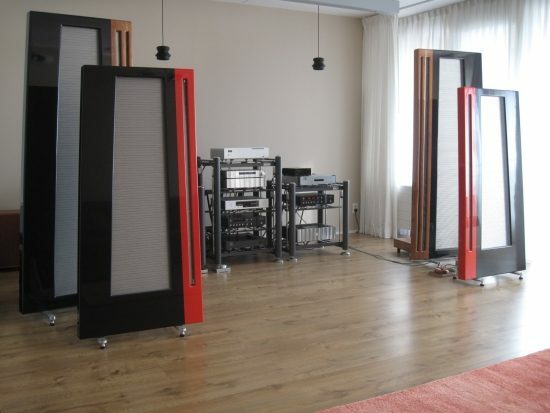 All three sets of Duetta Signatures, even the original classics, produce bass in a fashion that makes visitors wonder if the subs are still on, and refurbished Duettas truly have bass that puts many dynamic systems to shame. Apogees are also incredibly dynamic and fast, in a way that makes Magnepan 3.6R’s seem overly well-behaved and sleepy. 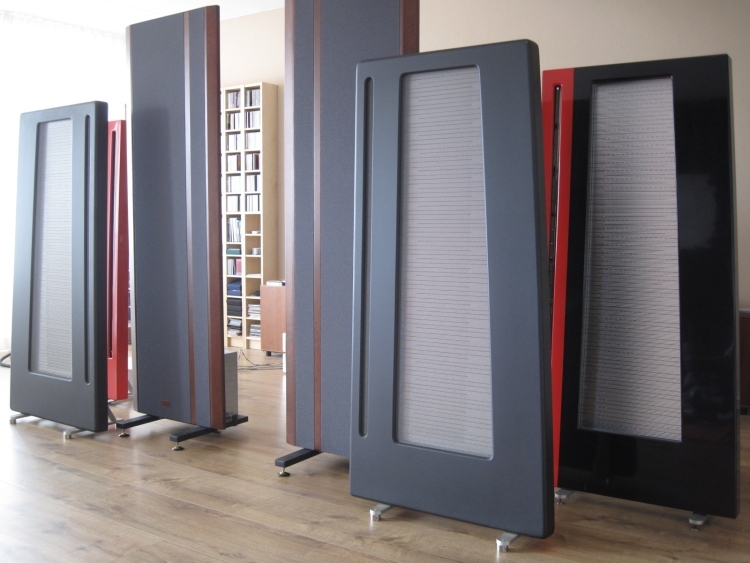 In spite of not having a cabinet, Apogees don’t sound threadbare at all, on the contrary. 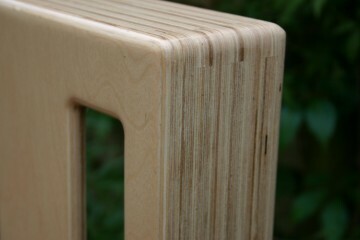 Timbre is very lifelike, for example piano really sounding like the wood-and-string percussion instrument that it is. My previous Magnepan MG3.6R’s by comparison often made piano sound too thin, almost like it is a keyboard and not the real thing. And remember that I’m talking about the Maggies with aid of two REL Strata II subs versus Apogees without subs. The Magnepans sure have tight, articulate bass, but there’s no real drive to speak of. There are advocates for both camps, each accusing the other camp’s speaker of having coloration. Magnepan MG3.6Rs have one advantage over Apogee Duetta Signature though, which is their pure ribbon treble, which is quite simply heavenly refined and airy. Apogee Duetta Signature treble (being an MRTW with kapton backing as opposed to pure ribbon) by comparison is just a little less superbly delicate, but still worlds better than the large majority of dynamic tweeters out there. While it could be argued that perhaps the Maggies sweeten the treble too much and perhaps the original Duetta Signature’s treble performance is simply honest and revealing what’s on the recording, the initial refurbished pair used incorrect crossovers resulting in severely tipped-up midrange and treble. In any event, from memory the new KLM5 ribbons together with the new interfaces and wired returns all but closed the gap. It’s becoming more and more evident that dipoles work better than dynamic speakers in rooms that are otherwise plagued by standing waves, otherwise known as room modes. 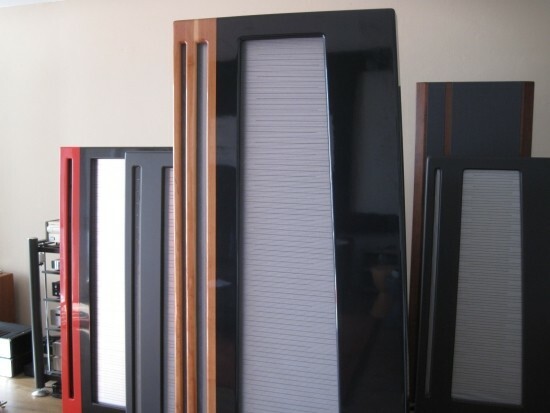 Without bass traps, both my listening rooms have severe issues, and where dynamic speakers tend to boom and honk and have uneven frequency balance, all the Apogees, as well as the Magnepans, sounded much more even-handed in these untreated rooms, and without exeption delivered much better bass. 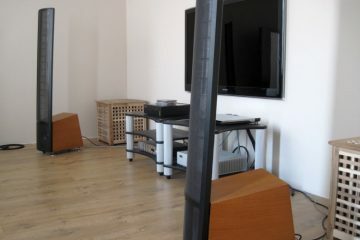 Contrary to popular belief I would say that Apogees are actually easier to position than dynamic speakers. The only thing they need is some space from the rear wall. 2 meters yields best results but 1 meter is already sufficient. Finally, cost considerations. Sure I can understand that it doesn’t seem entirely “cheap” to get the full refurbishment done on an existing pair. But think of it another way. 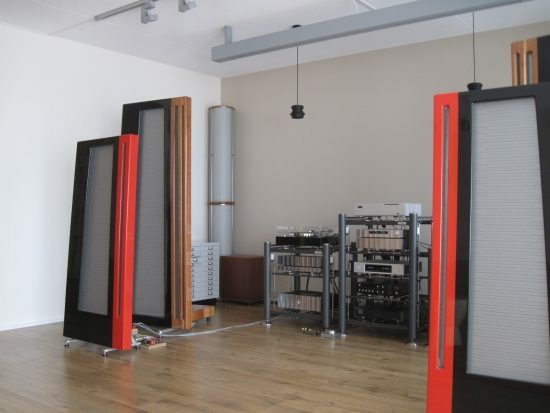 A newly refurbished pair with the latest drivers and a new cabinet will cost around 6500 euro. 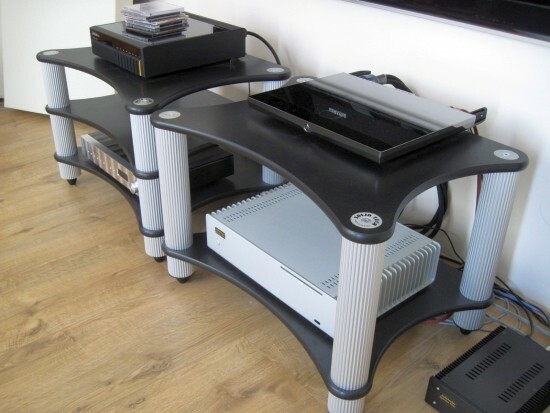 Now just think about the ever-increasing cost of current high end speakers. 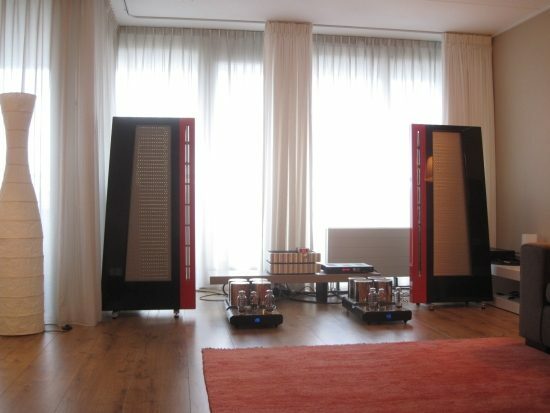 For 6500 euro not a single speaker comes to mind that would even begin to deliver a performance like the Duetta Signature. At double or triple this amount however some aspects of the sound can be matched, but usually with less overall top to bottom coherence. Marten and Vivid Audio for example are competitors in terms of treble and midrange performance, but you’d have to climb up to one of the dearer models (30-60k) before you approach the incredible bass extension that any Apogee is capable of and even then, with a less than optimal room, the bass drivers may still be more or less leading their own life relative to the rest of the frequency spectrum. In this context, a refurbished Duetta Signature offers insane value for money! Do you still have Symo cables LS4X, LS5 SX for sale? If so, what lengths? 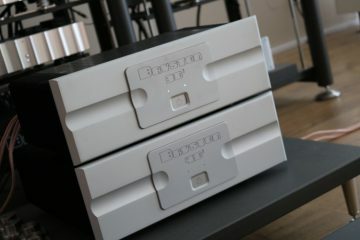 I have rebuilt Apogee Duetta Signatures that I would like to try them with. Hi Sandip, I still have various lengths of the LS4X but am not selling, as they frequently come in handy during reviews and comparisons. 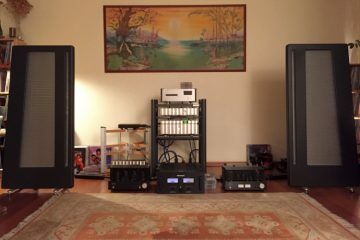 That said, I currently have both Centaurs (not minor or major) and Duetta Sigs set up simultaneously in the second room, both wired with LS4X. The Centaurs match much better with this cable than the refurbed DS, as the LS4X is not the brightest sounding cable, and also not the most refined, a bit coarse even, making the DS sound grubbier than they are. For the Centaurs this is fine and actually works splendidly because the Centaurs have a lot of HF energy and sound quite forward. 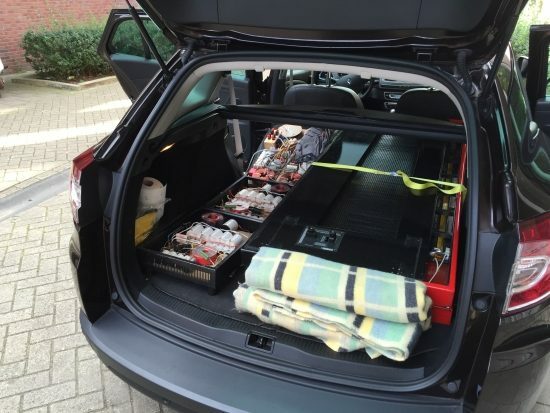 The DS I feel sound better with a more straightforward cable such as the cheap van den Hul Skyline Hybrid. It’s laughable in a way, but that is the cable that I already use for more than a year with the Divas because it sounds so neutral, open and airy, but also fluid and unforced and without any harshness. Biggest downside of this VDH versus the Symo is that the VDH sounds quite thin while the Symo sounds quite full-bodied. 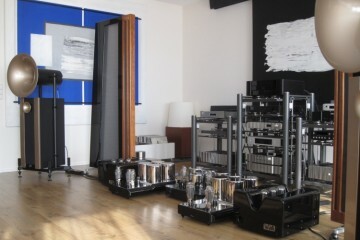 Then again DS have plenty of bass so I would still suggest a brighter sounding cable for them than the Symo. That is, unless you actually want to tame the brightness of your DS, then the Symo might be a solution worth exploring. Yet another great Apogee review from you. I still remember my long gone Duetta Signatures, the best speaker I ever owned. What I would like to read is a review of the Synergy 1.5, a modern Scintilla and perhaps the best planar there is together with the Alsyvox. Oh yes, the Synergy 1.5 I’d also like to review, and a modern Scintilla even more so. But shipping it across the globe is not a simple task and also quite expensive. Still I’ll check with Graz to see if something is possible here. As owner of Apogee Duetta, I’m wondering if using passive Bi-amp on Apogee Duetta worth it to get the best sound. Nowaday, amplifier have more than 130 ampere (i.e Hegel H30 amplifier). 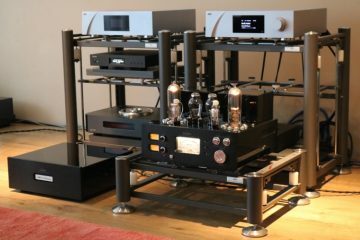 Could you please give be your “hifi-advise” ? I have found that the Duettas are not particularly power hungry and do not need bi-amping for that reason. 130 amps also is easily enough. However, bi-amping can bring other advantages (soundstage height, clarity, definition) but only as long as two or four identical amps are used. It is easy to mess up coherence between the drivers though and the benefits are not guaranteed, so in conclusion I would not advise bi-amping Duettas. Divas are another matter, as are Full Ranges.